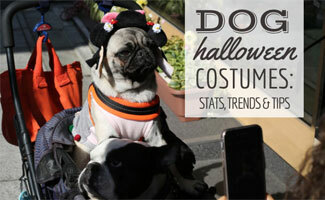 Nearly half a billion dollars is spent in the U.S. each year on Halloween costumes for pets. 1 and 18% of people plan to dress their pets up in costumes in 2018. If you’re one of 31 million Americans who loves humiliating their pets (and a good chuckle), you’ll enjoy our study that names the states most likely to dress up their pups (and the most popular costumes this year). Our findings shows that the East Coast and South are much more interested in dressing their pets up for this spooky holiday, while the West Coast and Midwest are not exactly wagging their tails at this idea. The New England area has the biggest fans of dressing up their dogs for Halloween in 2018. We used Google Trends to search “halloween costumes for dogs” and determine the states that had the most interest in this topic over the past 90 days. Google Trends analyzes the popularity of search queries performed over time via Google Search. This analysis provides directional data of what people in a specific geographic region are searching for most and thus, may be most concerning for citizens. So now that you have confirmed your desire to dress up your dog (your state is among the top states for this activity! ), you might want to find the most popular pet Halloween costumes! 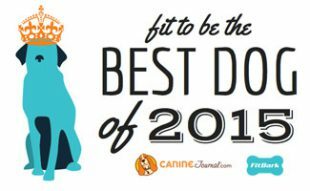 Well, this year’s trends are yet to be known until we see what dogs hit the streets but according to those surveyed by the NRF, there’s a good chance you’ll see a lot of doggy (and kitty?) pumpkins waddling around. Dressing your dog up for Halloween can be fun and entertaining for everyone. But remember, pet safety is paramount. Make sure your dog is comfortable with wearing a costume – for Halloween or anytime of year. You want to make sure your pup is well-trained and won’t mind getting into a costume. 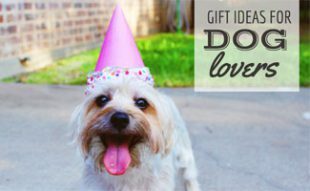 Try out some dog clothing beforehand. Once you (and your dog) feel comfortable with playing dress up, go ahead and try out a costume. Give it a treat while you are putting on the clothes to keep your canine calm. If you decide to take your dog trick-or-treating, be sure that the costume is comfortable and safe. 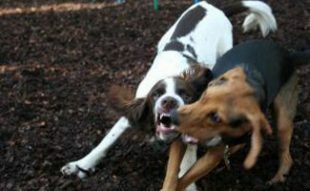 You don’t want anything to cause your dog to choke, block its vision or distract it. If you don’t plan on taking your dog out, and would rather just show it off to trick-or-treaters, make sure Fido is comfortable with people and won’t become frightened or escape from your house. It may also be helpful to warn trick-or-treaters that you have a dog before they ring the doorbell (sadly, not everyone loves dogs as much as you do). Consider posting a sign at the end of your walkway to alert visitors. We have an entire article on Halloween safety tips if you want to learn more! Last but not least, make sure your dog doesn’t get a hold of the candy! Yes, it is Halloween and everyone is joining in on the fun, but candy is still harmful for dogs. You don’t want your pup to choke or accidentally swallow any wrappers. Note chocolate is toxic for dogs, so don’t let it run off with any Hershey’s or Snickers! It is time to put together an unforgettable costume. 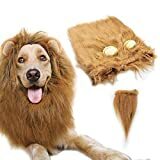 Then, get ready to celebrate a cautious yet fun Halloween with your canine this year! What is your favorite dog Halloween costume? My dog dressed as Hillary this year with a pant suit on, it was the cutest thing ever! We love costumes (not really), we do however tolerate them for photo opps but as far as wearing them – not really. Hard to find costumes for dogs over 45 lbs that really fit. That would be a terrific market for someone… Costumes for large dogs. Great information – enjoyed the post. Cathy, so glad you enjoyed the post. Yes, dogs sometimes aren’t the most cooperative when it comes to playing dress up but it’s fun for the parents and makes for good photos. 🙂 The Dog Tux (above) is a good one for bigger pups and might look good on your Goldendoodles. But you are right, there should be more outfits for bigger dogs. Genius! Thanks for reading and happy howl-oween!